KARAOKE!! Call now to find out more! 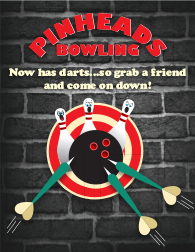 Pinheads is excited to bring you the world’s first ski-in ski-out ten pin bowling experience! 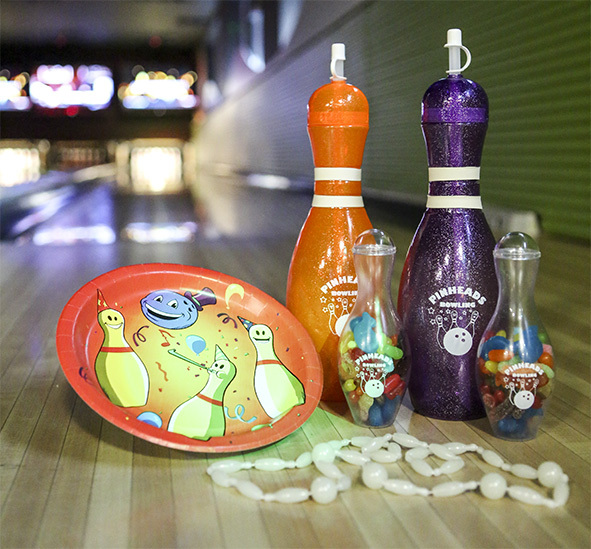 Bring the kids and enjoy our 4 fully computerized, state of the art, modern bowling lanes. Each lane comes with automatic bumper rails for the kids, 70 inch LCD screen entertainment, lighting displays and touch screen automatic scoring pads. Final Run Bar and Bistro will satisfy your taste buds with its expansive range of Culinary Delights, Gourmet Dogs, Flatbreads and array of ice-cream desserts. We also have Gluten Free options available. Fully licensed we are proud to offer you a great selection of Craft Beer from around BC on tap or bottled. We also offer local award winning wines, cappuccinos, hot chocolates and more. We haven't forgotten the kids! With a wide selection of milkshakes, slurpies, floats (spiders) and soft drinks, the whole family will have a ball. Adults and kids alike will enjoy the interactive LCD screens at every booth and for your convenience, computer screens are available for internet access. Not only will your kids have a blast blowing with their friends, you don't have to worry about setting up, food, or cleaning a mess! We do everything for you! Came up for a visit on Friday, Cool Cosmos, fabulous flatbreads and awesome ambiance and a very witty waitress ( thanks for the jokes) Thank you Pinheads, You Rock!! Thanks again Pinheads Bowling for allowing us to warm up and get some wonderful Wedding photos. LOVE your venue! Cant wait to come in for a bite and a game! Hearing lots of great things about it! Wow!!! This is awesome for Silver Star. 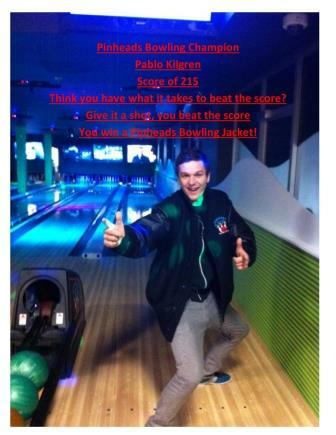 I looking forward to bowling and having some of your yummy food. Congratulations to you. This is really going to be "thee spot" to get the best Wines, Martini's and hot nuts. That's right...hot nuts!